Now Gameloft is making the game free-to-play. The update is already available on iOS, and it's slated to hit Android soon. 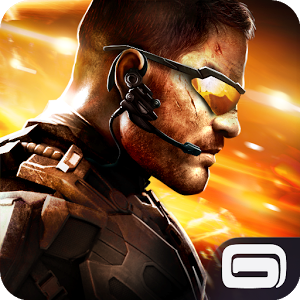 This update makes Modern Combat 5 available for free to millions of new players, and adds controller support, more weapons, a new class and more. All of our current players are getting Veteran status, with unlimited energy, and some other goodies as a thank you for their support. Ultimately, the switch to free-to-play means the game will have a longer lifetime, so we can invest more in the long-term update plan and in the servers which need to support a significantly larger player base. One thing we’re not messing with is the competitive balance players have come to expect in Modern Combat. This means the publisher is doubling down on in-app purchases. People who have already bought the title will receive veteran status rewarding them with an exclusive kill sign and costume, unlimited energy for life, and 200 credits. Yup, energy and credits. 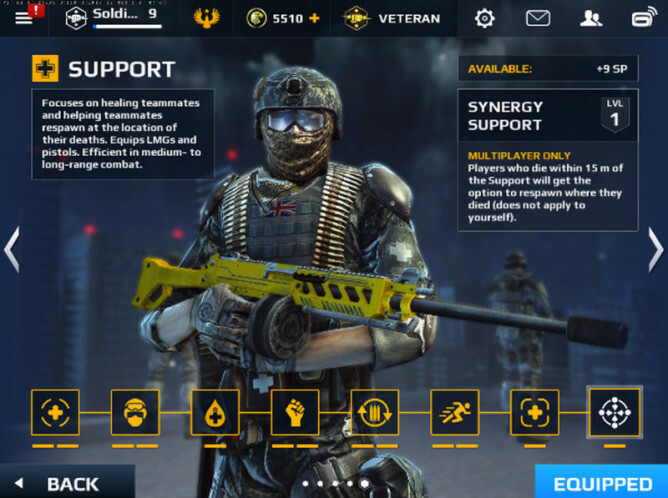 Modern Combat 5 will now feature an energy meter that limits how many missions you can go on. Players can buy unlimited energy for a period of time. It was fun while it lasted, right? Gameloft already rolled IAPs into the experience months after Modern Combat 5 originally launched, but these weren't required. They gave you a way to buy content that you could otherwise unlock the old-fashioned way. But hey, it's not all doom and gloom. The company is packing some new stuff into the update. There will be a new support soldier class that can heal and aid allies. There's also an additional weapon class (the light machine gun) and a 6th weapon tier. These are joined by a new multiplayer mode centered on capturing zones placed in certain areas of each map. Right now the game is priced at $3.99, but you can look for that upfront cost to disappear once the update arrives. Hop on it now if you want to become a veteran before then.